In anticipation of our London Cooking Club, “Thai by David Thompson” on 23rd October 2010, I thought I would try and up my game by visiting Nahm, David’s own Michelin-starred Thai restaurant in Belgravia. Opened in 2001 and housed at the discreet boutique hotel “The Halkin”, Nahm is a rather intimate restaurant – the small dining area is decorated predominantly in wood, and in lighter shades of bronze and gold. This is also the kitchen where Andy Oliver (2009 Masterchef Finalist) earns his crust, and writes candidly about it in his blog "The Cook's Broth" which I have followed for some time. Having taken a week's full-time course at the Chiang Mai Thai Cookery School last year, and more recently volunteered at the kitchen of Charuwan, one of my favourite Thai restaurants in North London, I feel quite enthusiastic about this cuisine. A Thai meal, unlike a Western one comprising of starter, main course and dessert, will ideally consist of several dishes including a relish (nahm prik), a salad, a soup, a curry and a stir-fry, grilled or deep-fried item. The balance of flavours and textures is as important in the make-up of an individual dish as it is when designing an entire meal. Nahm's a carte la menu is divided into these five categories - dishes can be ordered individually or as part of a "Nahm Arharn", a traditional Thai meal - a set meal where a dish from each category can be chosen and shared with another diner for £60 per person. Unless you request otherwise, all five dishes will be brought to your table at once. I requested to start with the salad and soup, and have these followed by the curry, relish and grilled seafood. In retrospect, I think this was a mistake as the cooling salad would have been the perfect accompaniment to the hot green curry. In addition, Thai dishes are not normally served piping hot; with many eaten at room temperature. The first hors d'oeuvres on the evening we visited were “Ma Hor” - small pieces of pineapple and segments of mandarin topped with a delicious mixture of minced pork, chicken and prawn paste. They had a lovely balance of sweet (palm sugar), nutty (roast peanuts) and salty (fish sauce) against the slightly sour fruit and were the perfect match to the cocktails Dr G and I ordered. The cocktail list is comprehensive but we settled on a “Jasmine Martini” @ £12 (Jasmin-infused Brannvin vodka, shaken with Cointreau and Acacia honey) and a “Bramble” @ £12 (Millers Gin with crème de mures and lemon juice served with crushed ice). The second hors d'oeuvres were the most delectable and fine “Coconut cupcakes with red curry of crab” @ £14.50, the pastry was very delicate while the crab in red curry whet the appetite. The “Scottish scallop salad with coconut, asian citron and lemongrass” @ £24 was also very good - it tasted refreshing with a combination of meaty scallops, lemongrass and other herbs. It had been dressed in a coconut and citric sauce and topped with fine shreds of kaffir lime leaves and bitter orange. The star of the evening was in my opinion the “Double steamed oxtail soup with mooli and asian celery" @ £10. The soup base was light but highly concentrated and bursting with flavour. Despite being a savoury soup, it had a sweet quality to it probably from the double steamed oxtail meat. The mooli (white radish) was perfectly tender and had taken on the gorgeous flavours of the broth and meat. It was a perfect bowl of soup. Our relish of choice (nahm prik) was “Prawns and shrimp paste simmered in coconut cream, with braised mackerel and white turmeric” @ £18. This was an interesting dish and one I had not tried before despite seeing it everywhere in Thailand in many different forms. “Nahm prik” is a spicy chilli paste served with rice and a medley of vegetables or green leaves, and prepared mainly with fish paste, garlic, fresh chillies, fish sauce and lime juice. Nahm’s version had a wonderful combination of different flavours and textures and introduced a style of Thai dish I would like to learn more about. The “Razor clams chargrilled with a southern style curry” @ £23 had some interesting flavours but were unfortunately slightly overcooked and therefore tough. The southern provinces of Thailand are predominantly Muslim and the cooking reflects this. In general, dishes tend to be heavier, rich, very hot and spicy. This dish was surprisingly light, but despite the interesting flavours, it was in my opinion our weakest choice. A Thai meal would not be complete without a curry – the “Green curry of crispy sea bass with white turmeric and thai basil” @ £25.50 was richly flavoured, with hints of aniseed, coconut and the potent heat of the green curry. Having the crisp fish rather than the more common chicken was a nice touch and I felt it combined well with the other ingredients in the dish. Asia is hardly a hot-spot for sophisticated desserts as we know them in the West, but having eaten silly amounts of black sticky rice pudding in Chiang Mai, I was keen to try this restaurant’s take on my favourite Thai dessert. Nahm’s “Black sticky rice with coconut cream and corn served with banana fritter” @ £12.50 was however disappointing. The black rice and the coconut base were bland and the accompanying crispy batter was also tasteless and at odds with the dish. The “Steamed pumpkin filled with coconut custard” @ £12.50 was fortunately a much better choice. I enjoyed the combination of soft pumpkin and coconut custard and felt it worked very well together. This is one of the recipes that we will be cooking at our London Cooking Club on 23rd October 2010, and I cannot wait to try it again. 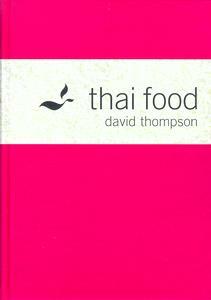 Twelve diners, mostly readers of this blog, will be cooking recipes from David Thompson's Thai Food and Thai Street Food cookery books at my home in Islington as part of our monthly cooking club. For more information, please see the London Cooking Club page. Cost: £60 per person not including drinks or service. I believe this to be good value - the set menu priced at £60 per person includes two hors d'oeuvres (ma hor + coconut cupcakes with crab) + 5 other savoury courses (salad + soup + relish + curry + stir-fry + rice) + a dessert of choice. The London Foodie was a guest of Nahm. Likes: the double steamed oxtail soup was outstanding, and I also highly recommend the scallops with lemongrass salad. The cocktails list is well thought out. Dislikes: expensive wine list with few items below the £30 mark. Interesting write up of a restaurant I've umm-ed and ah-ed about going to. Still not convinced, mostly because of the cost. I like that they serve the relishes. If i remember correctly, relish is the ur-food of Thai cuisine. As they were rice cultivators for millennia, the relishes evolved as a strongly flavoured accompaniment (using small amounts of [comparatively] costly ingredients) to big fluffy piles of steamed white rice. Gradually the relishes expanded into the balanced, pungent and hot foundations of Thai cuisine from Isarn bbq in the NE to Bangkok court cuisine. There is a whole section on them in the book and I have been meaning to give them a go for a while now. Maybe this will give me the impetus to try it out. @ The Grubworm - indeed the "relish" or nahm prik was one of the most interesting dishes of the meal, it is actually a mini-meal on its own right. I feel that £60 per person for a meal of this quality and complexity is not expensive as long as you stick to tea or water. It may not be as cheap as my local Thai but is certainly a cut above any other Thai restaurant I have visited in the UK. Mmm, that looks amazing! I've never heard of nahm prik before... now I really want to try some. And the oxtail soup sounds very comforting. I have eaten at his restaurant in Sydney many years ago...it was truly sensational. Maybe one day I will be lucky enough to dine at his London restaurant! Have still not managed to get to Nahm yet but it's on the list . The food looks delicious and it would be interesting to try them out to see how much they have elevated Thai cuisine from the regular fare. This should be a really fun cooking club. Sorry to be missing it. @ thewonderingfoody - glad to hear you found a new dish to try here, let me know if you get to make/eat it. @ Natasha - thank you for your comment. If you ever do, I really recommend the Thai Meal Set at £60. It will not be stupidily expensive if you stick to tea or water. @ May - I am gutted you will not be there but you didn't put your name forward for this one... wish you had! We will miss you. @ Lizzie - the a la carte menu is expensive but NOT the set menu at £60 per person. Believe me, the food is tip top and there is more than enough of it. Dr G and I could not finish half of our meal (which is unheard of). @ Anonymous - the coconut cupcakes that would have cost £14.50 on the a la carte menu were added to the set menu in addition to the 5 dishes that makes up the tradition thai meal set. In fact the two canapes were additional courses to this set menu, another reason why I think that the set menu @ £60 is good value for money if you appreciate Thai food at that level of sophistication. I've eaten there a couple of times. It isn't cheap, but I can't think of many Michelin-starred restaurants that come in at the budget or even mid-price end of the market. There is perhaps an assumption that oriental restaurants should be cheap and cheerful, whereas European ones can charge these prices without anyone raising an eyebrow. I'm not sure these assumptions are justified. I think it's a good place for a special occasion, and to see what top quality Thai food is like. @ Mr Truffle - ditto, ditto, ditto. Couldn't agree more Mr Truffle! Fabulous in depth review with great photos Luiz. I love Thai food, such interesting flavours and heat. Looking forward to the London Cooking Club on Saturday! I'm so lucky to get a place. It's such a great idea and I really admire you for all the hard work in preparing the event every month. Luiz what an amazing meal. I have just got David Thompson's new book and really enjoying it - a great coffee table read as well as cook book. Good luck with the cooking club on Saturday! @ Vintage Macaroon - thanks Debbie, your green papaya salad was lovely, it was nice to see you again at the London Cooking Club! @ Gourmet Chick - hey Cara, thanks for your comment. I *LOVE* his new book, and the recipes are incredibly authentic. The London Cooking Club was actually last Saturday, the recipes turned out really well but everyone had some difficulties understanding his measurements like a "cup of garlic" (?) or too much red curry paste in the Thai fish cakes that Uyen prepared, she had to remake them as she felt they were too salty. Enjoy the book! 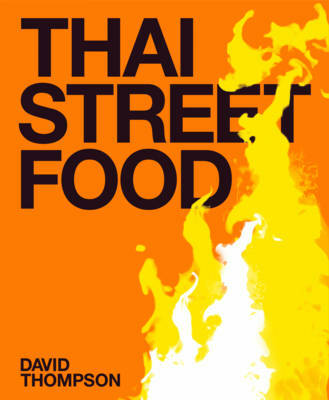 really enjoyed reading and always fascinating to hear customers 1st impressions of food we cook everyday. very fair too methinks. the orange on top of scallop salad is actually finely julienned thai orange chilli, but we do also put som saa (a hard to find thai citrus fruit) zest in there too which you were probably tasting. a la carte is actually better value than it sounds...because each dish is easily enough for two to share in portion size (i.e bigger than set menu sizes) so you only need to order one to share between two or even 3 or 4 in some cases. which is worth remembering if you want to come back to just try that dish or two you missed out on last time. the desserts are all authentic, but, to my taste they are bit hit an miss too (dont tell any one i said that!) but some are delish - highlights for me are the black ash puddings, fruit in iced perfumed syrup, the fresh fruit plates (we get amazing variety of thai fruits flown in) and, when it's on as a special, grab a plate of the mango & sticky rice - i'm willing to bet it's the best in europe (amazing amazing mangoes, fresh coconut cream infused & rice infused with pandanus & fresh jasmine flowers, toasted mung beans)! thanks for ya post on my blog. well impressed by supper club menu! keep up the great work. So lovely to see you again last night. Loving the blog and really want to try out your cooking club! @ Andy - Hi mate, thanks for your explanation regarding the oxtail soup which was fantastic, and the other dishes too. Interesting to hear about the a la carte dishes and I will certainly come back to try some of them out. I organise a cooking club at my home (not a supper club) as there are no fees and each person cooks a dish whereas a supper club, punters don't cook anything but pay a donation. @ Salty - it was so lovely to meet you and be sitting by you yesterday at Fernandez and Leluu, what a nice event but you left pretty early?! I would love if you could come to one of our cooking club evenings, i will be posting future dates soon and will get in touch to let you know. See you soon I hope!